Accessing credit for either personal use or expanding a business nowadays highly depends on the credit score than an individual has. Usually, the credit score range is categorized into three; a good score, an average (Fair score) and poor score. All these lie between 300 and 850 with the former being the lowest score and the latter being the highest score according to the credit bureaus that determine the personal as well as the business credit score. Individuals who have a fair credit score means that their score is between 630 and 689. These individuals can still have access to credit cards although not every credit card can be given to you if you have fair credit. There are certain credit cards that your score cannot allow to be given by a credit card issuer since 630 to 689 can be considered a risk, given the number of perks that those cards come with. However, there are nice and suitable credit cards generally meant for you. Today, we are going to have a deep look at the best credit cards suitable for individuals with a fair credit rating. Here is a highlight of top ten best credit cards for people with fair credit. This business credit card is meant for individuals who have the entrepreneurial interest in them and have passion in business. First of all, capital one classic for business does not require annual fees. This means that you will not be denied any of the card services in the name of failing to pay the annual fees. Secondly, any transaction paid via this card earns you 1 percent cash back reward. On top of that, you can also add extra employee cards to the card free of charge. If you keep on using this card for different transactions, it could be upgraded to more lucrative ones like Capital One Spark for cash business and many others. If you want to manage the finances of your business, this card does not disappoint at all. It gives you an option to download different purchase records such as quick books, quicken as well as Excel formats. This will help you to really manage your finances. Furthermore, you will also be getting your finance reports via emails on a quarterly basis to help you in preparing your next budget. This is also another lucrative credit card for people who have fair credit. To begin with, you earn 1.5 percent cash back reward for every purchase you make using this card. If you can make your payments for 5 consecutive months on time, then you will be able to access higher credit line limits. In case your card gets lost or stolen, you should not panic at all since it comes with a built-in fraud coverage cover. On the other hand, you can access your bank from the comfort of your smartphone while sitting at home using the card’s mobile app. Also, the card's rewards that you earn do not have any limits and do not expire as well. This is the freedom that we all need I guess. The advantages of this card meet most of the needs that a person with fair credit wants. Lastly, you don’t have to sign up or rotate categories in order to earn cash rewards. I’m very sure that any person who has fair credit is always working hard to ensure that they jump out of this category and move to the good credit section. If that is your motive, then this card definitely meets all your goals 100 percent. To begin with, it is unsecured credit card which has no deposit requirement and thus it is very helpful when you want to build your credit. Whenever you make any of your purchases, you will automatically earn a 1 percent cash back reward that is redeemable. On the other hand, you will be able to access your credit score online freely to enable you to know where you are in terms of the score and what you can do in order to keep improving. Since the goal for this card is to build your credit, all your timely payments made will be reported to the three credit bureaus and by so doing, your score may take a little time and before you know it your rating would move from fair to good. Thus, for anyone who wants to build their credit, then Credit One Bank Platinum is the right and ultimate choice for you. 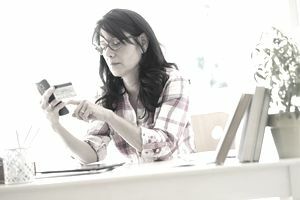 For those of us who have been overburdened by credit card debt, then having a Chase Slate credit card will save a lot of financial troubles. First of all, this credit card comes with a 0 percent APR rate on any of the balance as well as purchase transfers that you make in the first 15 billings cycles that you use the card for. An amazing offer about this card is that it guarantees you 3 percent balance transfer fees on all balances made with the first 60 days of account opening. If you are currently struggling with a debt on a different card that is accumulating interest you can transfer the debt to your Slate card credit card and enjoy this waiver of transfer fees and interest. This will actually save you a lot of money in the long run. For illustration purposes, let’s have a real-life example. Supposedly you have a balance on $8,700 that has 15 percent APR and you choose to pay $500 every month, it will take you approximately 20 months before you clear off the debt. However, transferring this balance to a Chase Slate card would save you about $1,305 which is quite a lot since Slate has 0 percent APR in the first 15 billing cycles made. If you are a student who wants to get yourself a credit card for your own, then Journey student rewards for students is a good start. It has great credit building tools to make you improve your credit within a shorter period of time compared to other cards available in the market. It also gives you rewards anytime you make timely payments. When it comes to advantages or rather benefits, it is important to know that this card gives you 1 percent cash back reward for every purchase that you make. On top of that, you will also earn a 25 percent bonus on every monthly payment made on time. Furthermore, your credit card limit is extended if you make your first five payments on time. In terms of annual fees, it is zero-rated. On the other hand, it has no foreign transactions for those who study abroad or any other country apart from the US. If you look at the reward rates, this card is the best since it gives you 1.25 percent as reward rate which is higher than the other cards. Since this card requires no deposit at all, it gives you a chance to build your credit within a short period of time. In all the eligible purchases you make, you get to earn yourself a 1 percent cash back. In addition to this, you have the freedom to choose your monthly payment date for convenience purposes. You also have free access to your credit scores which gives you a great chance to track your score and see which areas are derailing your credit score improvement. The above advantages make Credit One Bank Unsecured Visa one of the best cards that your hands and pockets should have. It provides you with a wider platform if you really want to enhance your credit and move out of the fair credit score brackets. In case you want a rapid credit line increase, you may also want to apply for although it comes at a fee. However, if you are not in a hurry, the credit limit hall be increased if you prove that you are indeed in need of it by making timely monthly payments every month. For those of us who are frequent travelers, then getting the Discover it Miles credit card can be a fantastic gift. In terms of rewards, this card gives you 1.5 miles for every dollar that you spend. This directly translates to 1.5 percent cash back in anywhere that you shop. For those of us who do not want to think about optimizing our rewards, then this is the best card you can ever have. If you are an active card member in the first membership year, all your rewards shall be doubled. This also translates to 3 percent rewards rate annually. This card is also ideal for frequent traveler's since it does not charge any foreign transaction fees. This is very different from other cards which charge you around 3 percent as foreign fees in every transaction that you make while abroad for academics, tour or vacation. Therefore, Discover it Miles is one of the good cards you can ever have if you are a frequent traveler. This is one of the best cards that you can have if you want to double your cash back rewards earned at the end of the first year. For example, if you earn $300 in the first year as cash back rewards, you will be given $600 at the end of the first year. This means it gives you a dollar for dollar match for every cash back you earn. When it comes to rotating categories every quarter such as gas stations, restaurants, and Amazon among others, you earn 5 percent cash back up to the quarterly maximum every time you activate. You will also be able to earn 1 percent cash back on all the other purchases made using this card. You can also redeem your cash back rewards for any amount anytime you want to since the rewards are not bound by time which means they don’t expire. There is no annual fees that any member is required to pay at any time. This means that one can use the card without fear of defaulting in paying the annual fees. As a member, you can also get to see and know your FICO score on a monthly basis. The score can be seen on your monthly statements that you receive as well as online app. If you are a person with a fair credit rating and has the urge and interest in building up your credit, then get yourself the Credit One Bank Platinum Visa. This is because the card issuer reports all your payments to the three different credit bureaus on a monthly basis. This actually builds your credit especially if you make all your payments on time. On all the eligible purchases made using the card, you will get yourself 1 percent cash back bonus. For the purpose of convenience, you have the opportunity to choose your monthly payment date that you are comfortable with. This means that you can hardly resist making monthly payments since you can only choose the date that you are sure that money will be available at your disposal. This card makes it very suitable for individuals who have fair credit and want to improve their ratings. Lastly, you will also be able to access your free monthly credit reports as well as your Experian credit score. Are you a student who is wondering which credit card can be suitable for you to manage as well as give you different bonuses? Then Discover Chrome for Students could be the best option for you. To begin with, you get a dollar for dollar match for all the cash back that you earn in your first year as a member. You also get a 2 percent cash back in restaurants and gas stations up to a maximum of $1,000 in every quarter. If you get good grades (GPA 3.0 or higher) you get free $20 cash back each school year to a maximum of 5 years. It doesn’t charge annual fees on the card membership meaning that you can use your card year in year out without any worry. You will also be able to access your credit score and credit report every month by either going online or using the mobile app. The above ten cards are the best credit cards for people with fair credit. They do not have any annual fees, offer a chance to the card holder to improve their score, have cash back rewards and are convenient to use. Choose any one of them depending on your goals as well as your interests.